Paragliding is a favorite activity of most of the people on earth. Every country has a number of para-gliders who like to visit India for some fun and exploration. Barry Roberts who is 25 years of age gt stuck at a height of 15000 in Baijnath, Kangra district. The reason why he got stuck was strong wind that had created a chaos and he lost his way. The height of the rock is said to be 15,000 from the level of the ground. He was shocked and dismayed for a while but people came for his rescue. The Deputy Commissioner of Kangra, Mr. C P Verma was worried about the guest of India and contacted him to get him the required help. The height at which he was stuck was so high that for a common man, it was difficult to be implemented. Instead of sending someone who was a common man, an army was sent to rescue the para-glider. The army rescued Barry Roberts who recently. After his rescue, he has been sent to the capital state Delhi for further assistance. 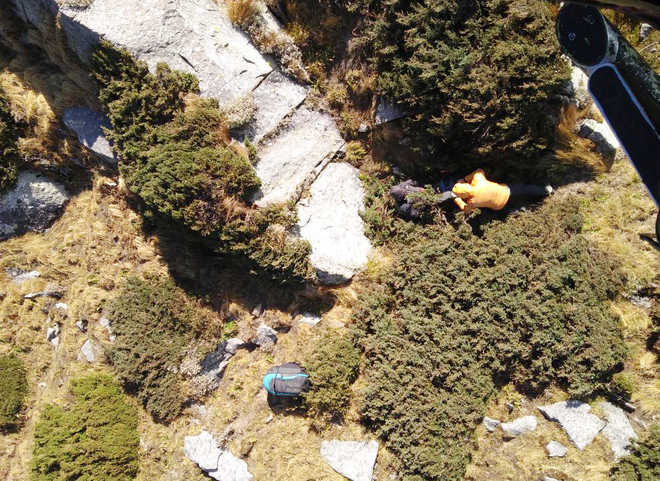 This incident teaches a lesson to every para-glider that precautionary measures should be taken in order to stay safe and secure. Para-gliders have a thing for the activity irrespective of the weather condition. Everyone aspiring to get the activity accomplished safely should take measures to stay safe. Like in this case, every person should check the weather condition in advance so that there is no such emergency faced. There are many places in India that hosts paragliding activity throughout the year. The most important factor that will determine your visit is the weather. If the weather has been forecasted and you have a feeling that it is not going to be favorable, you should take a step back and postpone the tour. With these paragliding planning, you shall be away from such problem in future.